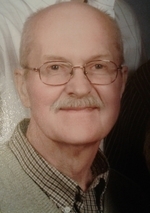 Robert (Bob) J. Orgish, 77 of Plover, WI passed away peacefully at home on Tuesday, January 22, 2019 from heart disease. Funeral services will be held on Friday, February 1, 2019 at 11:00 am at Trinity Lutheran Church, 1410 Rogers Street, Stevens Point WI with the Reverend Dr. Clay Schmit officiating. Visitation will be held at the Plover -Shuda Funeral Home: 2400 Plover Road, on Thursday, January 31 from 4:00 - 6:00 pm. A special Lions remembrance will be held at 6:00 pm at Plover - Shuda Funeral Home in Plover WI on Thursday. There will be no visitation prior to the funeral service on Friday at church. Burial will be held at a later date at Maine Cemetery in Plover. Bob was born on July 28, 1941 in Spencer WI, son of Robert J. Orgish Sr. and Josephine E. (Knorn) Orgish. On December 27, 1985 he was united in marriage to Sandra L. Aughinbaugh (Bergeron) at Trinity Lutheran Church, Stevens Point WI. She survives. He is also survived by children, Chris Bergeron (Ann), Benjamin Bergeron and Jonathan Bergeron, all of Plover, and Jennifer Wright, Phoenix AZ. Grandchildren include Ethan Wright, Glendale AZ and Adam and Aaren Bergeron, Plover WI; sisters, Barbara Kranig, Stevens Point, Dorothy (David) Pavelski, Stevens Point, Mary Lederhause, Westminster, CO; brothers, Mike (Hazel) Orgish, Port St. Lucie, FL, Ted (Rose) Orgish, Nekoosa WI. He was preceded in death by his parents and his sister, Josephine Tanck, brothers in law, Jerry Tanck, Jerry Kranig and Paul Lederhause. He attended local schools and was a 1959 graduate of P J Jacobs High School. Bob was employed as a brakeman/conductor with the Soo Line Railroad/CP Rail System for 43 years. After retirement he enjoyed seasonal work at Worzella and Sons in Plover WI and other part time jobs. He was a veteran in the Army National Guard serving from November 1963 - 1970. Bob was very active in various organizations, including president of the Plover Whiting Lions Club, where he received a 30 year Monarch Chevron Award; Building and Grounds Committee at Trinity Lutheran Church; previous member of Izaac Walton League, Habitat for Humanity, Elks Club, and Parks Committee member of Plover. He enjoyed volunteering at community events at Golden Sands, Celebrate Plover, Lake Pacawa, Izaac Walton, Habitat for Humanity and Place of Peace. Bob was always willing to lend a helping hand to anyone in need. Bob attended many baseball and softball games, basketball games, volleyball games, and soccer games of the children and grandchildren, as well as various musical and choral events, orchestra and band concerts and plays and socialization at the Isherwood Town Hall. He always had a good time playing golf, yard games, cards and board games with family and friends. Some of his favorite things were Orgish family reunions, playing the lottery, football pools, crossword puzzles, reading a good book, going out to breakfast with the guys and Friday night fish fries. He also enjoyed hunting and fishing trips in Wisconsin, Colorado, Canada and Alaska, and visits to Arizona, New Mexico and the Mississippi Gulf Coast. A trip to Germany and a Caribbean cruise were special trips for him. Bob loved to eat most any kind of food, but his favorite thing was dessert. He enjoyed a good conversation with most anyone. Memorials can be given to the Lions Club, Habitat for Humanity or Place of Peace. Bob appreciated his family and friends who took the time to visit, send cards and bring him treats and food donations for the family. A very special thank you is given to the wonderful staff from Heartland Hospice, especially Laura and Jessica.